With a classic design and hardworking components, the new Danner Crafter series is the model of tradition. Behind the classic oiled Nubuck leather is a work boot that must be worn to be believed. 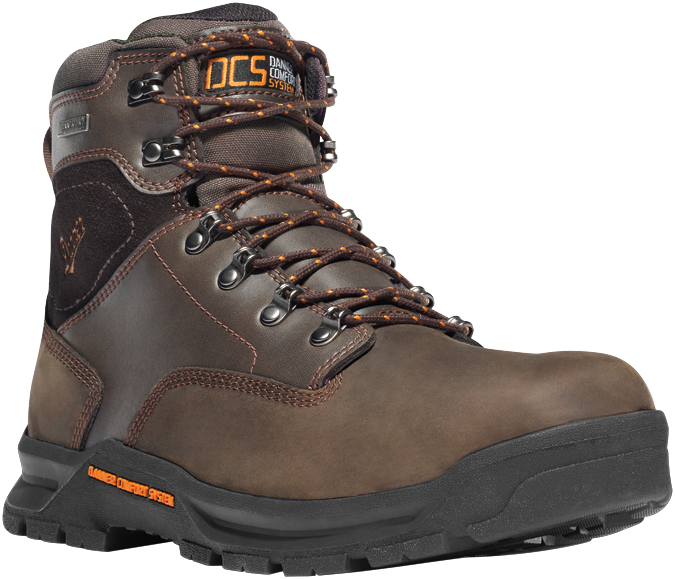 Featuring the all-new Danner Comfort System (DCS), the Crafter delivers best-in-class durability, support and cushioning. Built with a wider toe box for a more comfortable, responsive fit, and a patent-pending footbed that combines underfoot channels and venting for maximum airflow. The waterproof Danner Dry liner keeps feet dry while the oil- and slip-resistant outsole keeps you on your feet. Working overtime has never felt so comfortable.